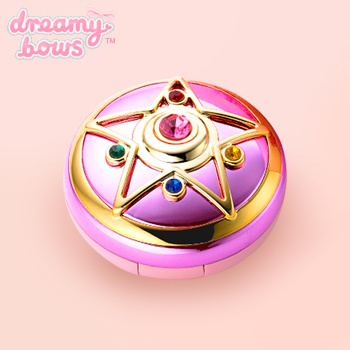 This beautiful, limited edition replica of Sailor Moon's transformation brooch was produced for the Sailor Moon 20th Anniversary. 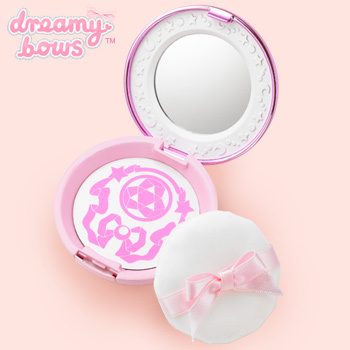 Inside the Shining Moon compact is a mirror, puff applicator and a pressed powder that prevents oily skin - perfect for touching up your make-up. It is formulated with moisturising ingredients to leave your skin feeling soft and plump. 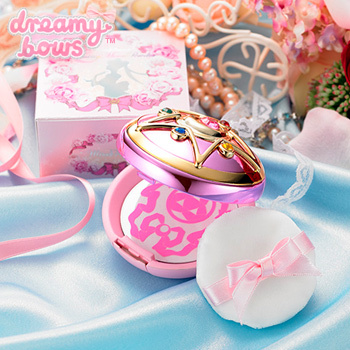 The powder is a shimmery pink tone which gives your skin a bright and glossy look. 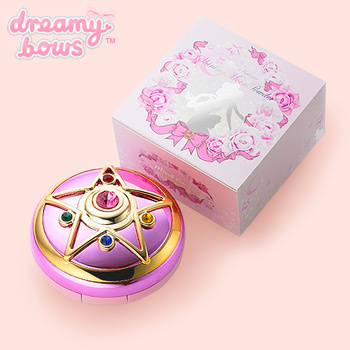 When you open the lid of the compact, a princess floral fragrance spreads gently. You will be able to select your delivery method at the checkout. *Delivery cost for this single item by Standard Airmail. Order more than one item for even better value by airmail prices.